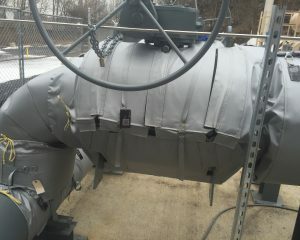 One of our specialties at Thermaxx Jackets is insulating steam traps. Steam traps are commonly overlooked components that can significantly contribute to energy waste. Steam traps are vital components of steam systems. A steam trap is a device used to discharge condensate and non-condensable gasses from the steam system. Most steam traps are simple automatic valves that open and close based on condensate levels. When functioning properly, they discharge the undesirables from the steam system without losing any live steam. Steam traps may fail when they leak steam or do not pass enough condensation. Steam traps have a notoriously high rate of failure. For this reason, they must be inspected and maintained regularly. Thus, they cannot be insulated with traditional, stay-in-place insulation. 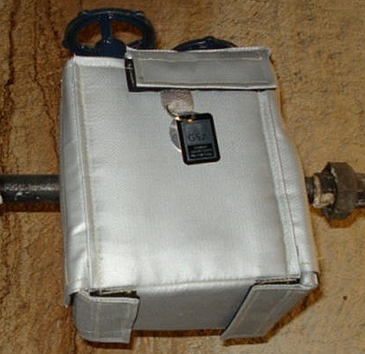 As a result, most steam traps remain uninsulated. The surfaces of steam traps typically get quite hot, and radiate away valuable heat. For example, a small typical 1” un-insulated steam trap station loses more than $ 200.00 per year in wasted energy. The steam trap portion of this station usually accounts for 40%-50% of the trap station loss. Furthermore, if the steam trap is extremely hot, it may pose a safety hazard if left completely uncovered. 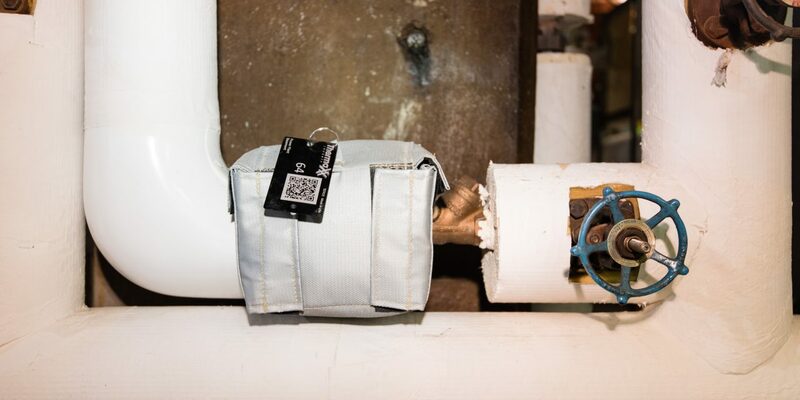 While not every type of steam trap can be insulated the same way – or at all – insulation remains a no-brainer for many steam traps. However, more often than not, steam traps that could be insulated simply never are, and needlessly waste energy as a result. What are Steam Traps and Why Must They Be Monitored? 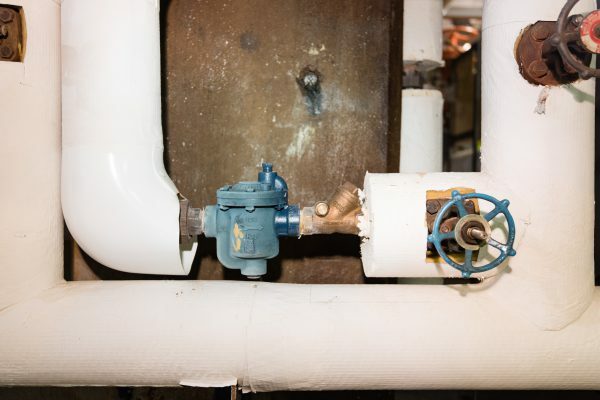 What Types of Steam Traps Can You Insulate? 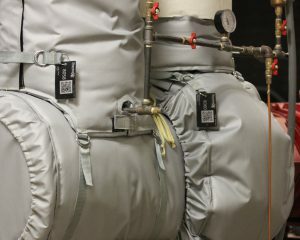 Our removable insulation jackets for steam traps can help you save significant amounts of energy and keep the workplace safer. The Right Fit: Our standard line of steam trap insulation includes jackets for popular Armstrong, Spirax, Sarco, and Hoffman models for sizes ranging from 3/4″-2″. 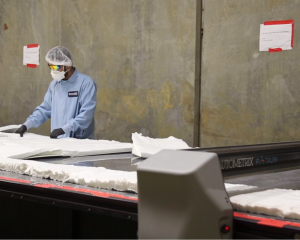 However, our skilled engineers and technicians can always design and produce custom sized and shaped jackets when needed. 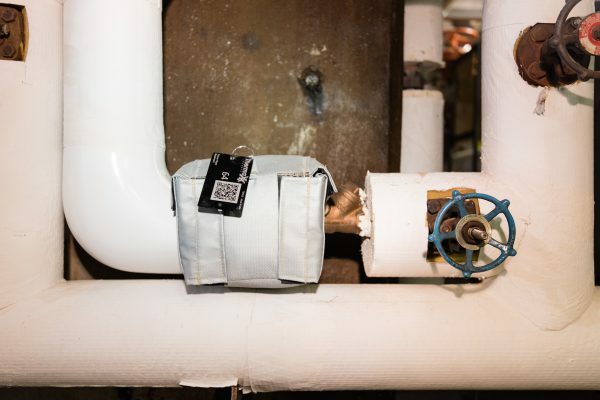 Convenient: Our insulation jackets are extremely easy to remove and replace so that maintenance personal can easily and quickly inspect the steam traps. These jackets come with velcro and d-ring closures as well as seal flaps to adhere the jacket to adjacent insulation. 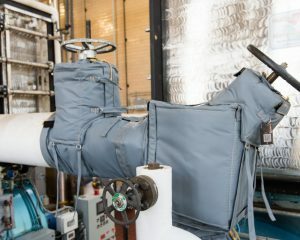 Cost effective: Our standard steam trap insulation jackets are available with your choice 1″-2″ insulation thicknesses to accommodate temperatures up to 6000F. We also are equipped to handle custom jobs for extreme temperatures. Thermaxx will provide exactly what you need to ensure that you get your money’s worth–the first time. High Quality: We take pride in the quality of our insulation jackets and painstakingly create them for maximum efficiency and durability. That’s why we back our jackets with a 5-year warranty! Got Questions? There’s another easy way to learn how to save money by insulating steam traps – just contact us! We’ll be more than happy to answer any questions you might have.